Goals, Employees and your Kingdom! | don't bite the apple…work is not a fairy tale! ← Goaaaaaaaal! World Cup Excuse note below! Do employees need goals? Do they like having team goals? 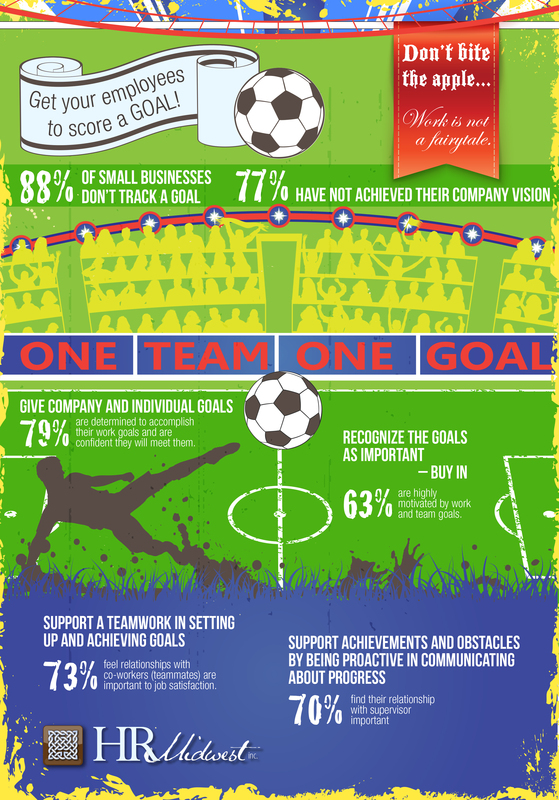 Here are some stats on employee goals, next week we will walk you through some ways to make goal setting successful for your whole team! Do you set individual goals for your employees? This entry was posted in Employees and tagged employees, FIFA, goals, human resources, leadership, motivation, setting team goals, soccer, training, WORLD CUP. Bookmark the permalink.